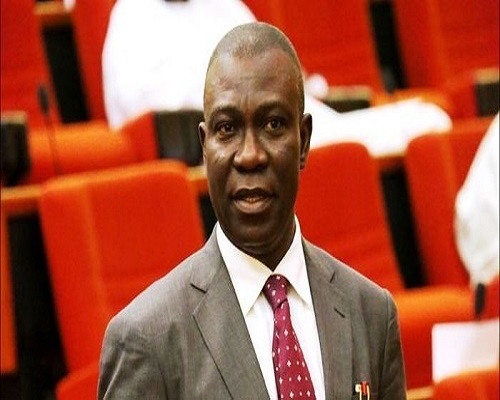 Deputy Senate President, Ike Ekweremadu, has urged proponents of restructuring to engage northern leaders so as to assure them of the benefits that await them if the nation is properly ‘restructured’. He said the northerners fear that if the country gets restructured, the oil revenue generated from the south ”would no longer get to them”. Restructuring, in recent times has been the major focus in Nigeria’s political space, with many politicians taking diverse, usually opposing positions. Mr Ekweremadu, in an exlusive interview with the media, said restructuring must be adopted if the country wants to move forward. He suggested the country adopt the Canadian government policy of ”Equalisation Fund” which helps states deal with their resources and also allows them pay tax to the government. The opposition Peoples Democratic Party chieftain noted that if the concept of restructuring is ”not properly explained to the northern leaders, they would never buy into the idea of restructuring the country”. ”In every system, people cannot be endowed equally. Look at the fingers, they are not equal. The society is not equal but as leaders you must take care of both the big and the small. ”So if you are talking about restructuring and you are not telling them how you are going to take care of those who are less endowed of course they are going to oppose you,” he said. ”If we have that kind of system (Canadian) and the people are sure that whether they have oil or not they will still be able to go to school and have access to security and other facilities, with all that explanation, yes, they would be able to listen to you,” he added.